More and more evidence is coming forward demonstrating both spinal stability and biomechanical balance as an important aspect of spine care. The good news is this is well within chiropractic’s scope, however many doctors of chiropractic are missing the education to accurately evaluate and objectify these types of biomechanical lesions. Our profession has spent most the last 122 years focused on TREATING these biomechanical lesions (Vertebral Subluxation, Joint Fixation, etc.) with little regard to the “assessment” component. The reason that is a critical statement, is that too often we treat compensation vs. the unstable joint. Our founding doctors had used very specific techniques to analyze the spine from a functional perspective and most of our contemporary treatment techniques came out of these analysis, which are the basis for many of our most common techniques taught in today’s chiropractic academia. It seems in hindsight, that the major discussions of the time [early chiropractic] were about “identification” of the lesion to adjust, then evolved into the best WAY to deliver the adjustment. Our roots and subsequently the true value and expertise of the doctor of chiropractic is in the assessment with treatment far secondary to an accurate diagnosis The medical community that both the authors and the doctors we teach no longer confuse our delivering of chiropractic care with a physical therapy manipulation or mobilization. The reason, our focus is on the diagnosis, prognosis and treatment plan BEFORE we render our treatment. With medical specialists who understand spine, our conversation centers on spinal biomechanics and how a specific chiropractic spinal adjustment will restore sagittal/coronal alignment and coupled motion balance the spine. We discuss spinal biomechanics and have the literature and credentials to validate our diagnosis, prognosis and treatment plan. Chiropractic has been the leader in this treatment for over a century, but since we had chosen to stay outside of the mainstream healthcare system we had no platform to take a leadership position or be heard. Medicine at both the academic and clinical levels are embracing chiropractic as the primary solution to mechanical spine issues (no fracture, tumor or infection) because as one primary care provider shared with us “traditional medical therapies inclusive of physical therapy has no basis in reality in how to treat these patients, which has led us in part, to the opiate crisis.” Part of the validation of what chiropractic offers in a biomechanical paradigm comes from surgical journals in the medical community. 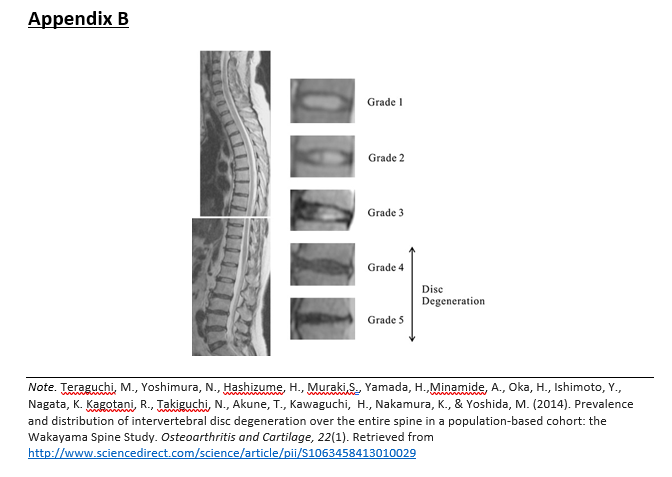 Keorochana et al, (2011) published in Spine and out of UCLA, titled “To determine the effects of total sagittal lordosis on spinal kinematics and degree of disc degeneration in the lumbar spine. An analysis using positional MRI.” Remember that this article was 8 years ago and as a concept has evolved considerably since it was first discussed in the late 1990s. This is the clinical component of what Panjabi had successfully described and reproduced in the laboratory. It is now starting to become mainstream in clinical practice. Regarding the type and number of patients in the study, the authors reported the following, “pMRIs [positional MRI] of the lumbar spine were obtained for 430 consecutive patients (241 males and 189 females) from February 2007 to February 2008. All patients were referred for pMRI [positional MRI – which included compression in both flexion and extension with a particular focus on segmentation translation and angular motions] due to complaints of low back pain with or without leg pain.” [pg. 894] This is the part where they looked for hypermobility. There is a structural categorization [lordosis] and a degenerative categorization [Pfirrmann] in this paper and the authors sought to see if there was a predictable relationship. 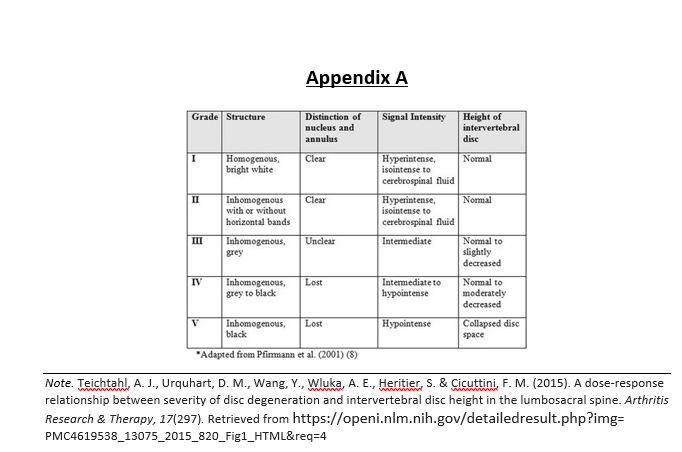 They continued by stating, “A greater degree of rigidity is found at the apical portion of straight or kyphotic spines, and more mobility is seen at the apical portion of hyperlordotic spines.” [pg. 897] Therefore, in both cases we see that changes in the sagittal configuration of the human spine has consequences for the individual segments involved. The scientific literature and medicine is now validating (proving) what chiropractic has championed for 122+ years, that the human spine is a living neurobiomechanical entity, which responds to the changes in the external environment and compensates perpetually seeking a homeostatic equilibrium. We can now have verification that changes or compensation within the spinal system as a result of a bio-neuro-mechanical lesion (vertebral subluxation) results in degeneration (subluxation degeneration) of individual motion segments. Although medicine is addressing this at the surgical level, as a profession they realize they have no conservative solutions, which has “opened the door” for the credentialed doctor of chiropractic to be in a leadership role in both teaching medicine about the role of the chiropractor as the primary spine care provider and the central focus of the care path for mechanical spine issues. When communicating with patients and medical professionals it is critically important to educate them on what “current research” is showing and why it is important that this chiropractic approach to spine care is the future of spine care in the United States. 1. Keorochana, G., Taghavi, C. E., Lee, K. B., Yoo, J. H., Liao, J. C., Fei, Z., & Wang, J. C. (2011). Effect of sagittal alignment on kinematic changes and degree of disc degeneration in the lumbar spine: an analysis using positional MRI. Spine, 36(11), 893-898.